For over 15 years the National Obesity Surgery Centre has been at the forefront of pioneering weight loss surgery in the UK. Lead by our Medical Advisor Dr John Mason NOSC has a network of leading weight loss surgeons based in our network of hospitals covering all of the UK. 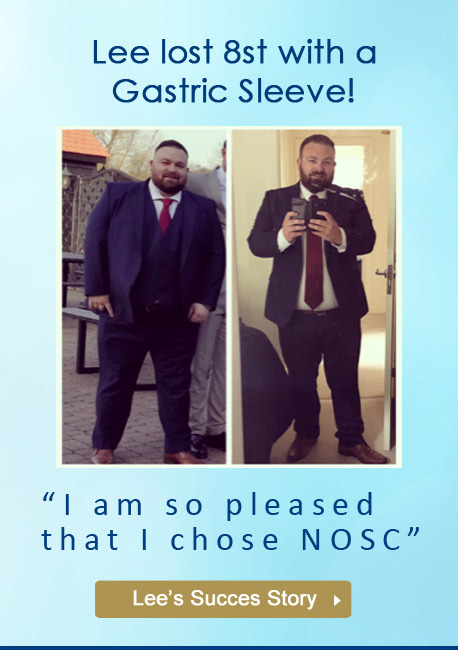 At NOSC we offer all leading weight loss procedures including gastric bands, gastric balloons, gastric sleeves and gastric bypass. At NOSC we have an expert aftercare procedure in place with an individual aftercare plan for each patient. Please note all incoming and outgoing calls are recorded for training and monitoring purposes. **Portion plate to be dispatched upon completion of booking.